With the Thanksgiving holiday right around the corner, I’ve been thinking a lot about all I have to be thankful for. A loving wife and family, the success of our content marketing agency, a talented and hardworking staff, fantastic clients here in Colorado Springs, across the state, and around the country… and the list goes on and on. I very naturally feel a strong sense of gratitude toward all these amazing people and organizations. Wait! I thought the customer is ALWAYS right, you say. Well, the truth is, while the customer is always the customer, they aren't always right. So what DO you do when your customer is wrong? This has long been a problem for folks (like me) who are absolutely committed to consistently creating an amazing customer experience, and/or as in my case, tend to avoid conflicts, especially with the folks who pay the bills. This blog will likely be more painful to pen than most, as integrity and transparency are standards whose definitions don't allow for partial accomplishment. Integrity speaks to the adherence to moral and ethical principles of honesty and forthrightness. Wikipedia adds: "a personal choice to uphold oneself to consistently moral and ethical standards." It is that "consistency" that gets most of us (and I'm certainly no exception, darn it!). Transparency is essentially operating your business in such a way as to demonstrate a willingness to share information so that it is easy for others to see your actions. Evolution of the Customer Experience: Are You Keeping Pace? In an insightful article in Entrepreneur magazine, Jason Ankeny interviewed some visionaries to get their take on where business is going in the next five years. Of particular interest to us here at 30dps are the panel’s thoughts on the future of the customer experience. Great Customer Service. Horrible Customer Experience. Experience Trumps Service! On our wedding anniversary this year we checked into the downtown Hyatt Regency Hotel in Denver. A beautiful hotel, the service is always exceptional. In fact, after making the reservation online, I was very impressed that they not only sent us a confirmation email, but also followed up the day before with a thank you letter, directions for getting settled in, and announcements for the goings-on for the Independence Day celebrations. 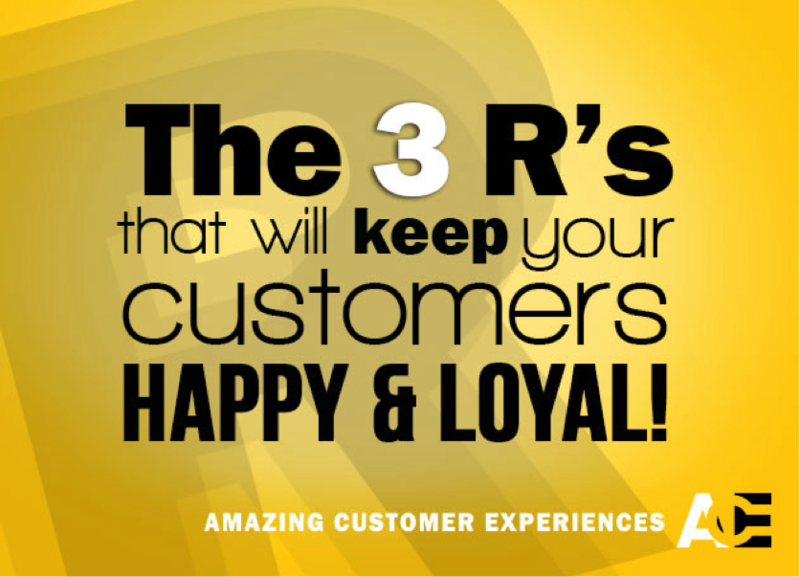 How Relevant is the Experience Your Company Provides? Maslow’s Hierarchy of Needs is often referred to in business and developmental psychology, but it also offers an interesting parallel to Amazing Customer Experiences. 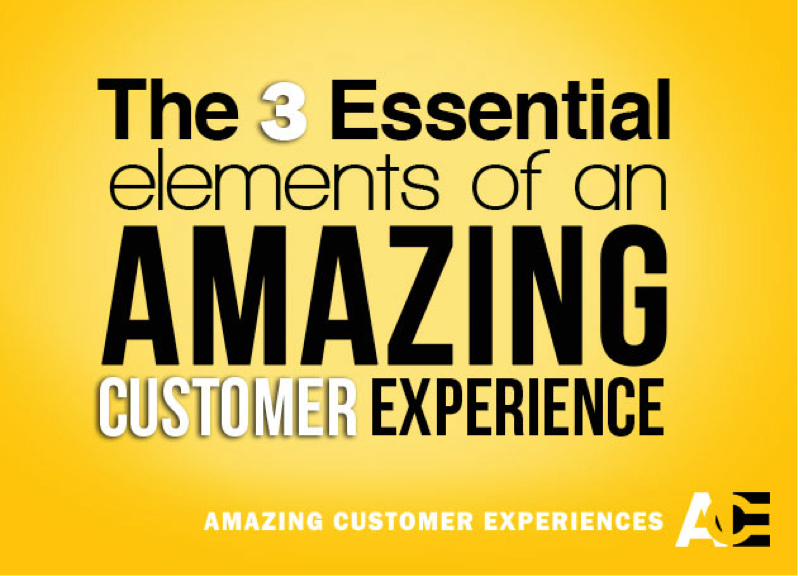 Customer experience can similarly be defined in a hierarchical pyramid, although the comparison with Maslow’s concept fades when one realizes that to achieve an ACE, one really has to master the customer experience at all levels.